Located on Tesla just off Lake Forest Dr. west of I-5/I-405, Extra Space Storage serves Irvine residents near North Laguna Hills, Lake Forest, and Laguna Hills. 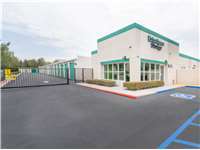 Locals will recognize our facility a few minutes west of McDonald's, Best Buy, and Irvine BMW. We're also accessible for residents of nearby apartments, such as Los Olivos Apartment Homes, Laguna Canyon Apartments, and San Sebastian. Extra Space Storage on Tesla offers a variety of storage units, climate-controlled storage, vehicle storage, and exceptional security, making us your ideal storage partner in Irvine. Our Irvine storage facility has the space to handle both residential and commercial needs! We offer storage units in sizes 5x6 to 30x20 with convenient features like drive-up access, climate control, and more. At Extra Space Storage, we go the extra mile to ensure our customers and their belongings are safe. That's why our Tesla storage facility utilizes security features like 24-hour video surveillance, individually-alarmed units, electronic gate access, and an on-site resident manager. Worried about storing temperature-sensitive items? Rent a storage unit with climate control! Climate-controlled storage units stay between 55 and 80° and are available in sizes 5x10 to 10x15. Need to store a car, motorcycle, boat, or RV in Irvine? Extra Space Storage offers 10x10 to 30x20 drive-up units and 12x26 outdoor parking spaces that can handle vehicles of all sizes. With our high-quality storage amenities, affordable rates, and friendly, professional staff, it's no wonder why so many in Irvine choose Extra Space Storage! We go above and beyond to deliver a positive experience and excellent customer service. Contact us today to reserve a storage unit in Irvine! I recently moved into a facility at extra space storage and the experience has been easy and painless. The customer service has been excellent and that’s hard to come by nowadays! I’ve used Extra storage in the last and so had my daughter. The facility is always spotless and very easily accesssble. I also like the code as it’s my drivers license number which is something is never forget. Raymond was very nice to work with. Extra Space Storage is a very clean facility. There prices are very reasonable. About 40% cheaper than competitors in the area. Great customer service as well so far! This location is great they even found me a second unit close enough to my other unit that I could walk things over. Competitive prices and good customer service. Overall very satisfied. I've used this facility for 4 yrs now.... at first it was VERY reasonable now it's getting very expensive. Just be careful if you plan to use for an extended period because the price will go up every 6 mos. Had to use this facility because others in the area were unavailable and pricey & it was the safest at the time. Great place, clean, reasonable prices, easy rental process. I was extremely satisfied with the whole process of renting a storage space from ExtraSpace storage. It was so quick and such friendly service. Plus it is so clean and orderly. Moving stuff is tough but Extra Space made the experience very positive. They have excellent customer service. I've been storing my extra items at extra space because i don't have a garage at the condo i live at. Extra space is a clean and safe location. I really enjoy the friendly and helpful customer service that Raymond provides. He is very accommodating and professional with all my storage needs. You will not be disappointed. Extra Space has always accommodated my needs. I primarily use them for my business and even when I've had large last minute shipments come in they've always found a way to make it work. The Extra Space Storage staff are always very friendly and helpful. They have answered my questions & resolved any issues promptly. I would recommend Extra Space Storage to friends. This is our first time using a self storage facility and the sign up process was very straightforward and the office manager was very professional! I needed a place quick to store some big furniture pieces while my Fiance' and I figure out where we're going to live. I'm living with him temporarily. The location, the hours and the accessability here are key. The other storage facilities were offering 2nd and 3rd floor storage units for more money. It was a no brainer picking this facility over the others in the general area. This facility is clean, well maintained and easy to access. There pricing is very competitive and overall better than most of the chain storage facilities. They go the extra mile to ensure you have a great experience and are completely satisfied. Great people, great location, and clean units. Five star for sure! Great friendly service. Questions answered before ask. Clean secure facility. Good price and hours that you can enter. Good follow up on the quality of service. I am very pleased with my Unit, the whole place is immaculate inside and out. It is also very secure, due to each space having its own alarm. I am even more pleased with how I was treated by the manager David. He went above and beyond my expectations. We need more people like David in this world. Ive rented from just about every storage location in this surrounding area. the location, convenience, cleanliness, security, and most of all the attitude and understanding of the staff here is excellent. This is the first review online that I have ever writting and its well deserved. Thats again Extra Space staff. The office manager is rude, no notice that my rate goes up, until I pay on line, My rent was suppose to be due on the First, it is move to the 30th, I work two part time jobs, living in a hotel/studio until my bankruptcy is done, and storage takes advantage of you, I really don't like this place, I will find movers to help me get my belongings out of there and move all my furniture out of this for shaken place. there is no security to watch over your stuff, and if I move to another site I will pay the same, that $18,00 dollars makes a big difference in my budget, and its wrong, Americans are having problems, I have only been there since December and I only have 4 months more. I lost my home, my husband died, and now this, I will not ever recommend your facility, especially the management who runs the facility. great customer service,very clean facility,fell very secure and convenient location. Extra Space Storage is the premier provider of safe, secure, clean and well managed off site storage for your valuables, memories, and "stuff"! I have rented units from them in CA and VA and both were 5 star ratings on everything that you need and want. The staff is especially accommodating and knowledgable and available - which equals peace of mind - combined with immaculate space and flexibility in size and terms, there is no reason to go anywhere else. Simply the best! Highly recommend Extra Space storage Irvine, clean units, friendly management, and fast service literally took 10 mins. To complete the registration process day of move in, very convenient. Grate service! Always clean! Management team is always ready to help. Would Recommend to friends! This storage facility is an enormous relief -- have been through two others in the same month before finding this facility. It is further away for me to get there -- but thoroughly worth it. Not only are the employees always nice, but can always help me when i have an issue. Their storage units are affordable and spotless! Security is great and makes me feel comfortable to leave my important belongings there. Plus the location is perfect! Right by my house! Try to do better than that!!! I searched around for a storage unit for about 2 weeks before choosing this one. They had the best rates and location for me. I compared them with about 20 that I checked out on line and 5 that I visited. The 5 I visited were all good locations for me but the customer service, rates and hours the gate is open are why I chose this one above the others. They have gone out of their way to help me and there is always someone in the office. I have never had to wait. If you have an unusuall request they will do what ever they can to help. I have had my stuff there for about a month now and everything has been great. It is clean and they have so many doors that even if you choose an inside unit you never have far to walk.. I have always been able to find a cart to carry my stuff also. The gate is open late and I love not having to rush after work to finish.. Oh yes and although this says Irvine they are really on the edge of Lake Forest and Laguna Hills. I live in Laguna Woods and it takes less than 5 minutes to drive there. Exceptionally friendly and extremely helpful staff. David took a lot of time and patience to help us and explain all available options. Then he walked us to see all available units and made sure we are happy with what we got. We are very pleased with our choice and the service provided by David. The staff is extremely helpful, always have had friendly, helpful interactions with everyone I've dealt with at this location. The storage unit is nothing special but it is a convenient location for me. I went into the location on Tesla to check out a storage for my motorcycle. I was very impressed by the cleanliness of the units and the security. I was especially impressed by the excellent customer service that I got from Dave. He took his time to show me different storage units until the perfect one for what I needed was found. He even let me bring the motorcycle the next day to see if it fit, so that I wouldn't get the wrong unit. He was very professional and courteous and took his time to explain everything that Extra Space Storage offered. There were many Storage facilities that I checked out, but I ended up taking the storage unit at Extra Space Storage because of the customer service that I received from Dave. if you are interested in a very clean, secure and easy to access storage unit with excellent customer service, the Extra Space Storage facility in Irvine on Tesla is the perfect place to go! Great staff. Extremely friendly and funny! Jessica, David and Sandra went above and beyond to accommodate us. Head southbound on Irvine Center Drive, right turn on Tesla, facility will be on the left hand side. Head northbound on Moulton Parkway, left turn on Lake Forest Drive, right turn on Tesla, facility will be on the immediate right hand side. Head westbound on Lake Forest Drive, right turn on Tesla, facility will be on the immediate right hand side. I-405 to 5 south exit Lake Forest west and right on Tesla.